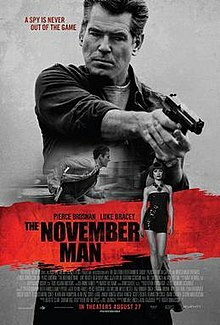 Five years into his retirement, CIA veteran Peter Devereaux (Pierce Brosnan) is pulled back into service to help retrieve a Russian agent — also his former lover — who has incriminating evidence on Federov, a corrupt Russian leader. When a different CIA team, led by Devereaux’s former protege (Luke Bracey), shows up, the mission goes south and Devereaux’s ex-lover is killed. Now a rogue agent, Devereaux drags a relief worker (Olga Kurylenko) along on his mission to settle the score.